Sad but true, the Freedom tower is almost completed. But we are still not giving up to get the Twin Towers back !! Because we simply can't get forget and ignore the wish of the People, if the Statue of Liberty was hit it would be rebuild, the Pentagon was hit and rebuild ! So why do this any different ? The People of New York are never consulted about what to build. This website will show beautifull pictures of the Twin Towers, and if you have pictures we don't have please send them to us. Can you imagine never to look at this again in the future ? 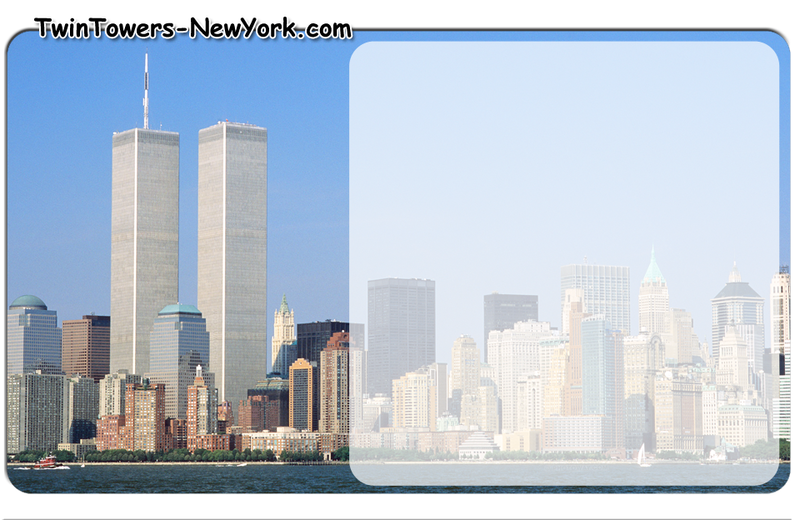 In every movie/series before 11 september 2001 about or in New York you will see the amazing Twin Towers. The Towers made the NY Skyline the NY Skyline as we all no it. Why build anything else ? Is there one really important reason why not ? Afraid of another attack, maybe, but what about terrorists taking down these Towers ? They simply won this !! What if they should once succeed again and bring down the Freedom Tower ? Will we stop building anything else ? Please Senator, Mayor listen to your citizens and build the plan they want. Building the New Twin Towers would show the real Strength not only for the US but the entire Western World. The only good plan !